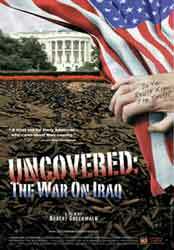 This controversial and arresting film offers an in-depth look at the actual arguments, speechs, and spin given by President Bush and his senior advisors before, during and after the Iraq invasion. Watch as they rely on rhetoric in lieu of hard evidence to justify a war. Listen to their justifications change to accomodate certain inconvenient and very relevant facts (such as the continued inability to find Iraqi weapons of mass destruction.) Go behind the walls of government, as CIA, Pentagon, and foreign service experts speak out, many for the first time, detailing the lies, misstatements, and exaggerations that served as reasons to fight a preemptive war that wasn't necessary.